Standards of hygiene, safety and productivity are extremely high, as they should be when the ultimate aim is to provide the user with an effective product. From ride-on and walk-behind scrubber-dryers, commercial vacs to industrial vacs and outdoor machines, Nilfisk offers cleaning machines that covers all needs of the pharmaceutical industry ensuring superior reliability and quality. 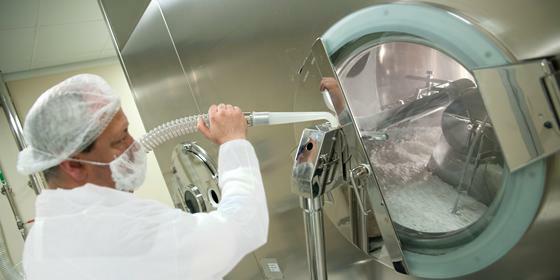 Cleaning solutions that cover fine chemicals, industrial systems and machines for pharmaceutical processing, machinery for primary and secondary packaging, etc.